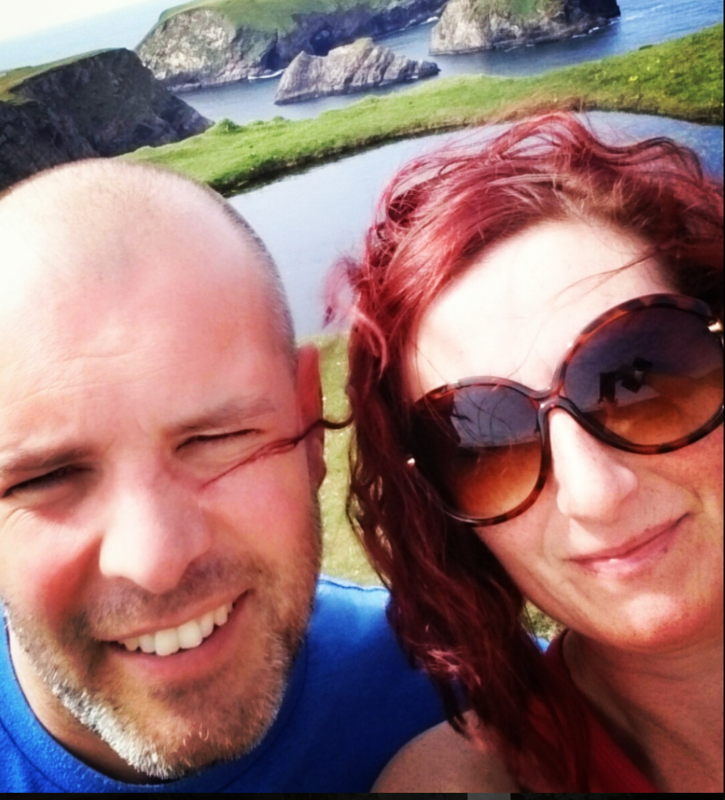 Can you discover the beauty of the Wild Atlantic Way for less than the cost of taking the train from Derry to Cork? 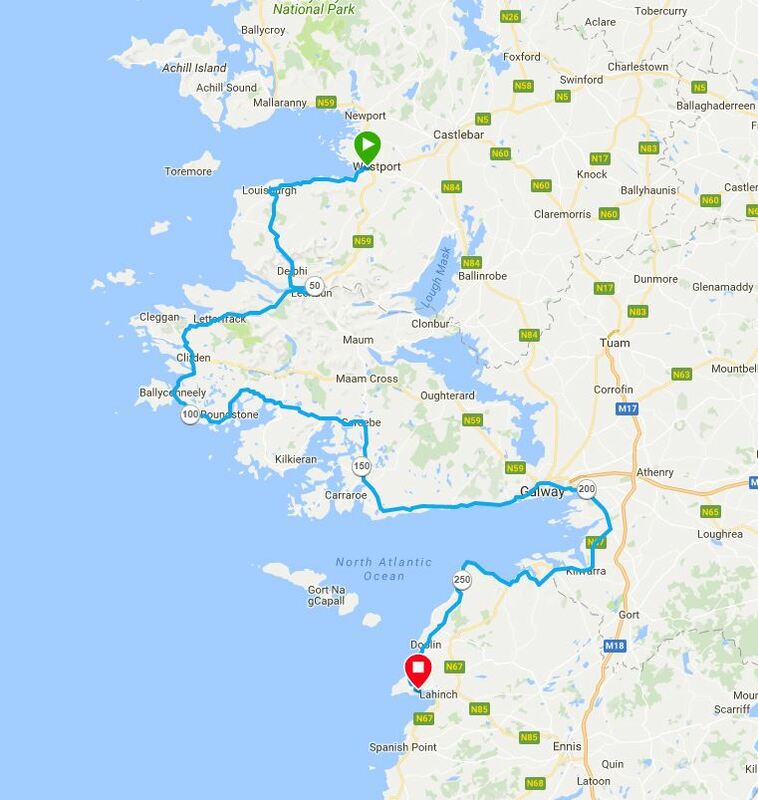 This cycle will prove you can see the entire Wild Atlantic Way for less than €73.46 or the cost of a train ticket from Derry to Cork. 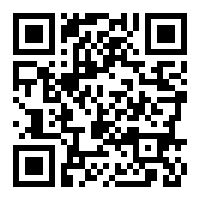 Means of transport will be a bicycle, accommodation will be a tent, so in theory all expenditure will be towards food. 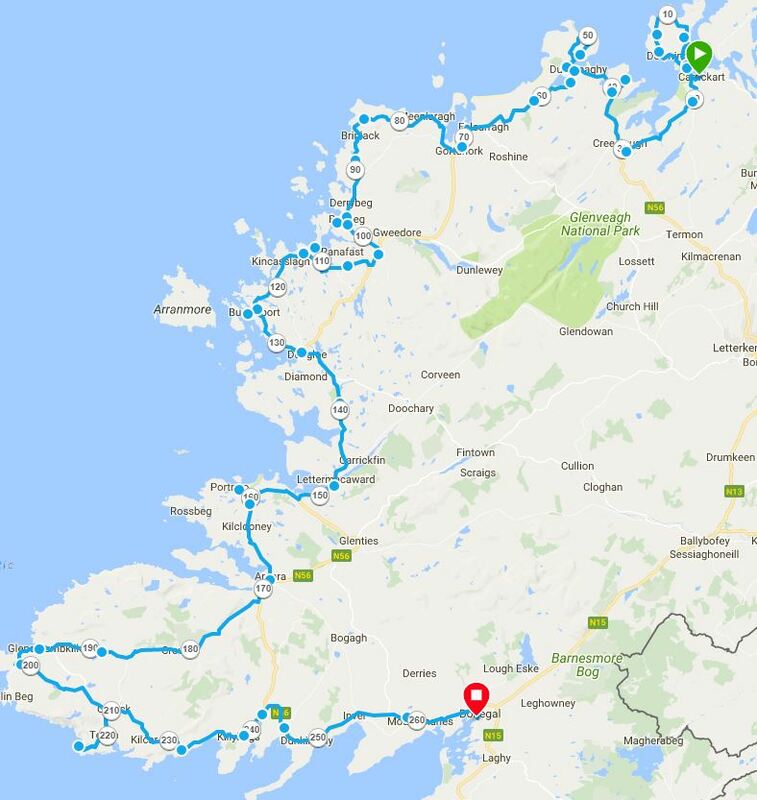 Day# 1 will see me cycling from Derry towards Malin Head, Ireland's most Northerly point. 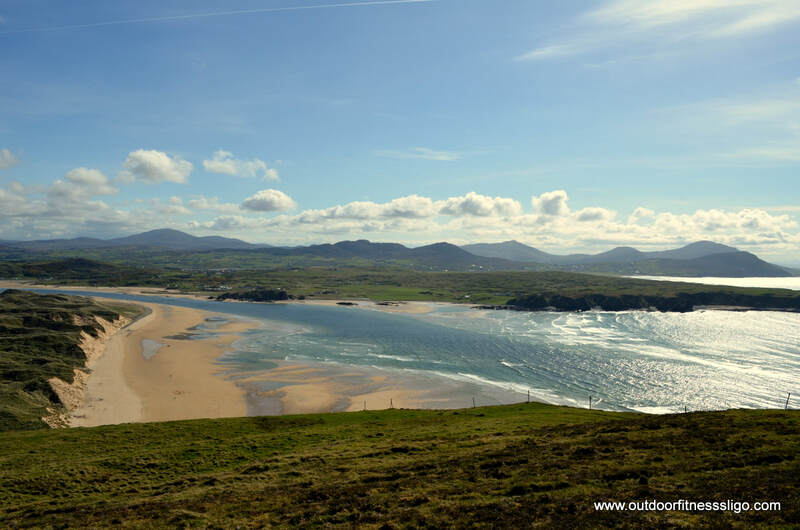 From Malin Head, it is direction Letterkenny climbing over Mamore gap. 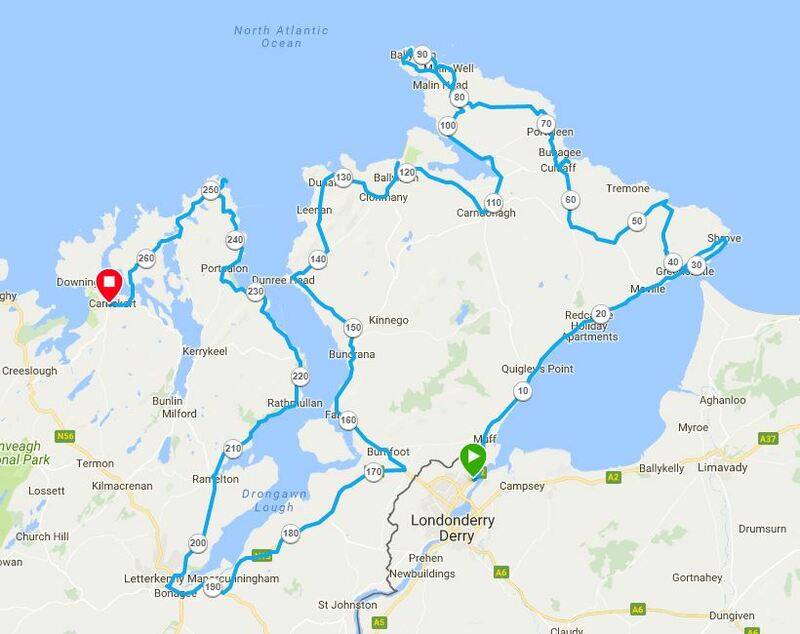 From Letterkenny it is direction Fanad Head lighthouse from where it will be a last push towards Carrickart where a well deserved nightrest will prepare me for the next day. 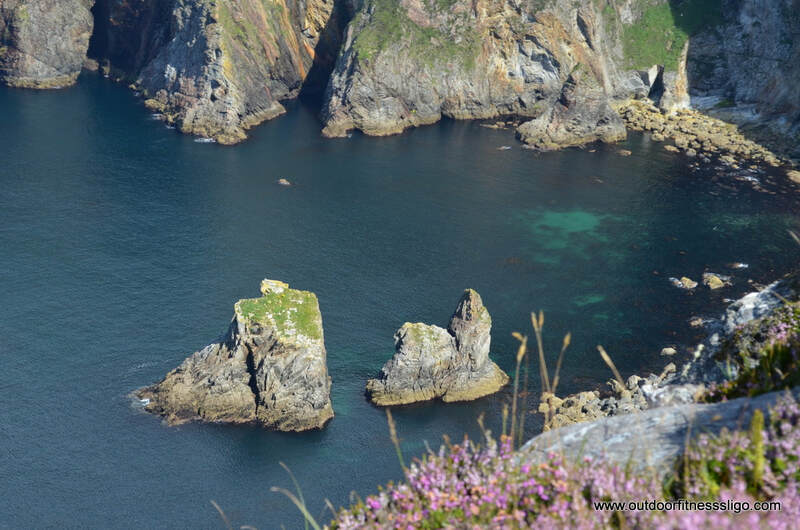 Day# 2 will see me cycling through Bloody Foreland, a beautiful rugged area which thanks it's name to the fact tht at sunset, the rocks become red in colour. 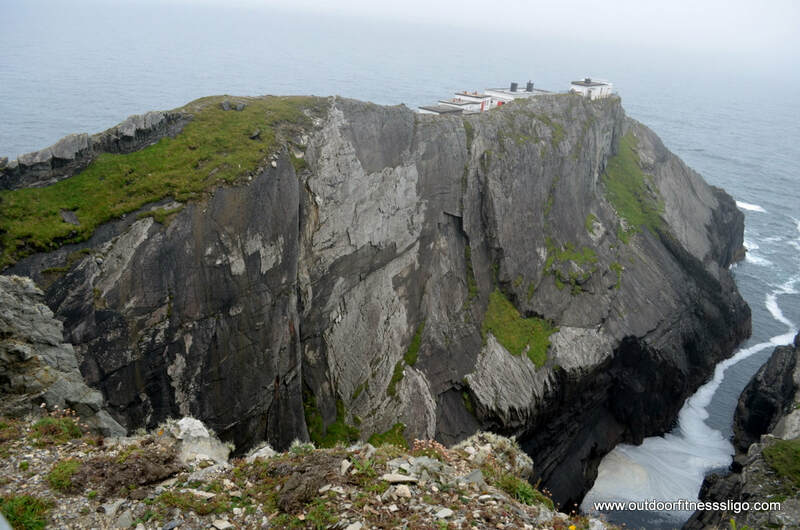 From here it is towards Slieve League, one of Europe's highest cliffs. 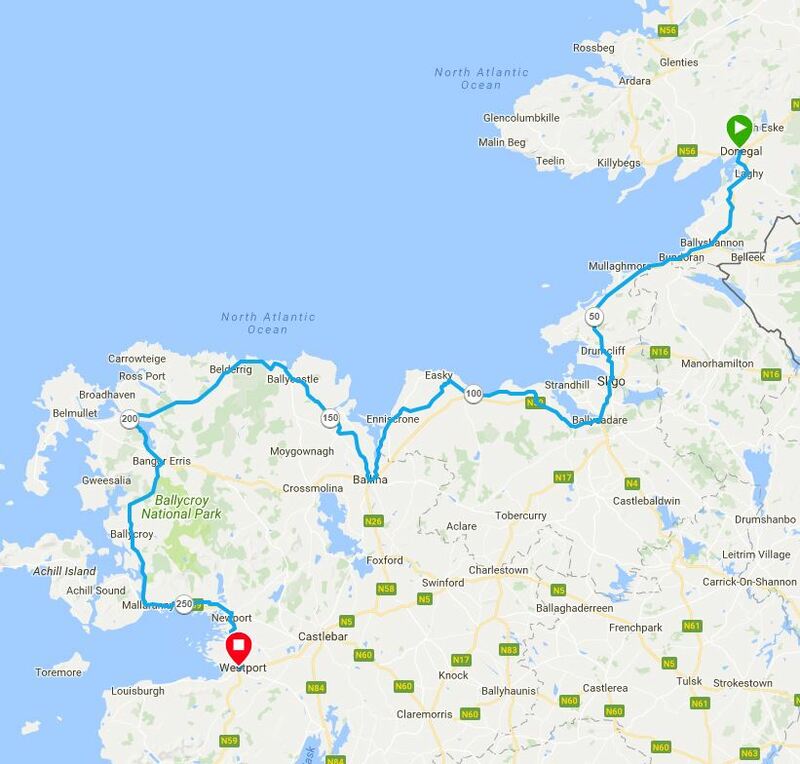 The last strech will bring me into Donegal town. 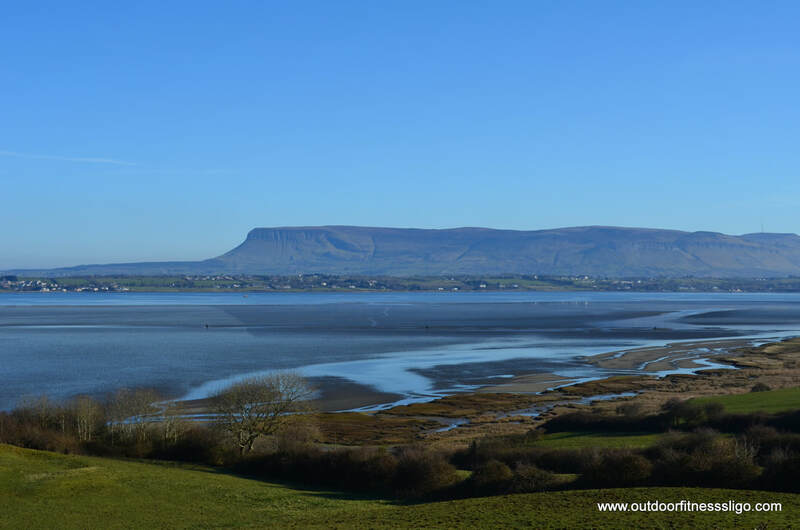 Day# 3 will see me cycling to Co.Sligo, famous for it's tabletop mountain Benbulben and yeats. From here it is towards Co.Mayo where the barren landscape and beautiful scenery will push me along. 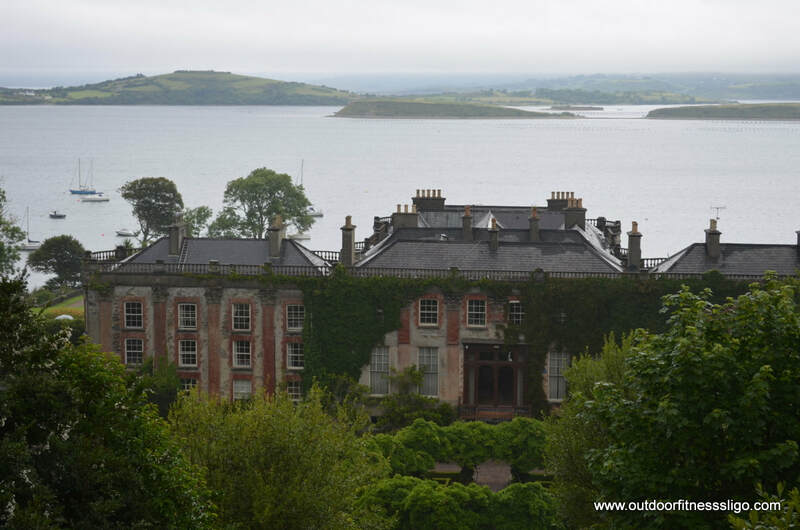 The stop for the night is the beautiful town of Westport which attracts plenty of visitors during the year . Westport is overlooked by majestic Croagh Patrick. Leaving Westport, the first point of interest is the fabulous Croagh Patrick. Heading into Connemara, scenery will be stunning. Heading towards Roundstone, Dog's Bay Beach might give a refreshing cooldown before heading towards Galway. 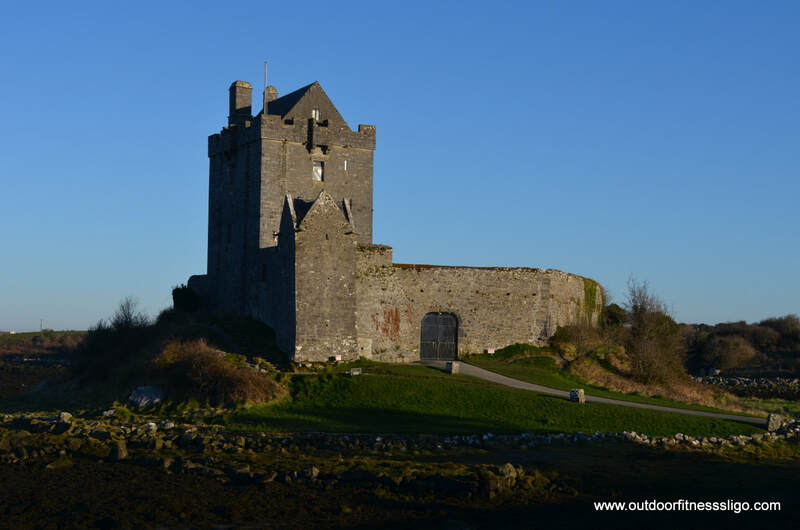 Quickly making my way through the buzzing city of Galway, I will be making my way through the Burren towards the fabulous Cliffs of Moher to arrive at my destination of Lahinch. 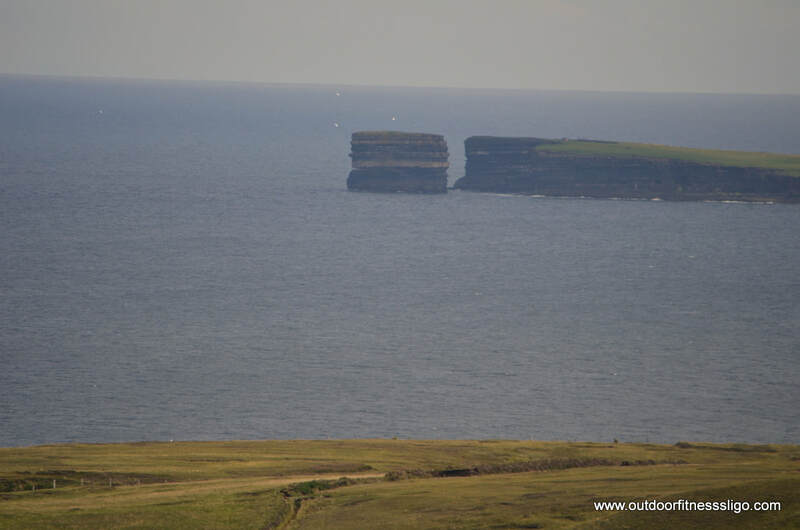 Day# 5 takes in the fabulous Loop Head lighthouse. Crossing the shannon to head direction Tralee. 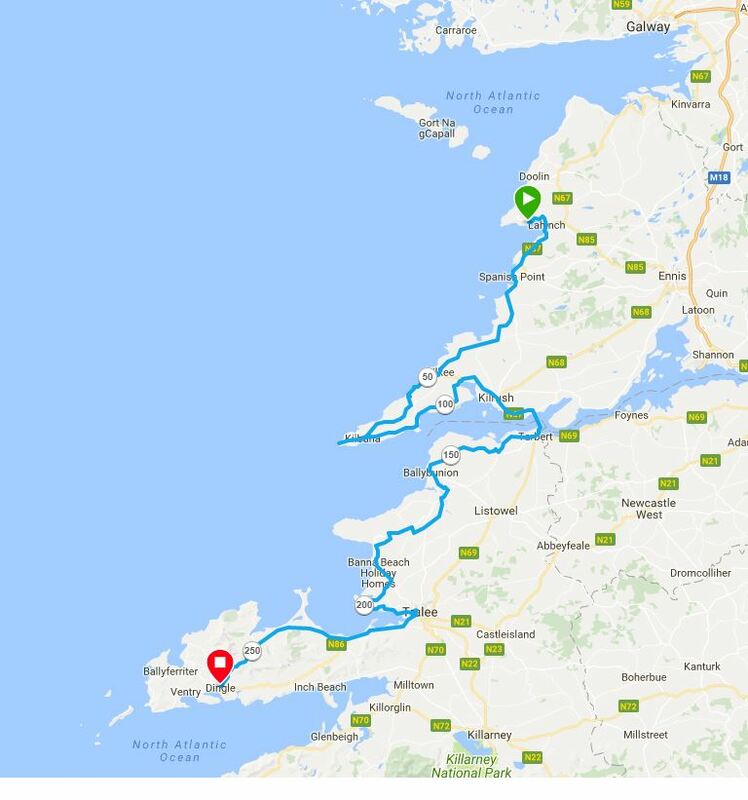 From tralee , it is direction Dingle across Conor's pass which is Ireland's highest mountain pass which, if I make it over it, will see me rolling into Dingle in no time. 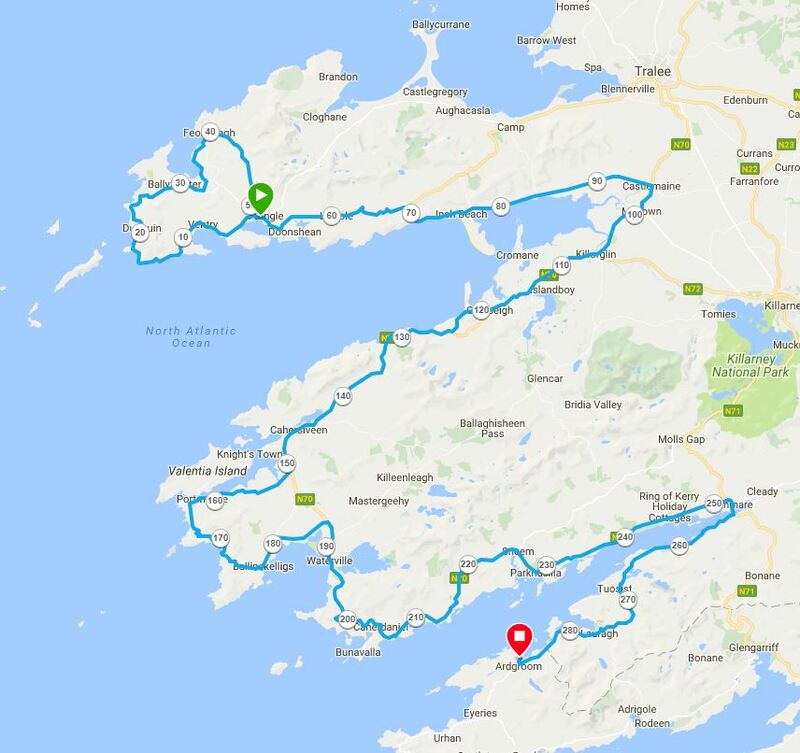 Day# 6 takes in the famous ring of Kerry. It is also the day with the longest distance. Hopefully, the weather will be good as the views on a sunny day are just beautiful. 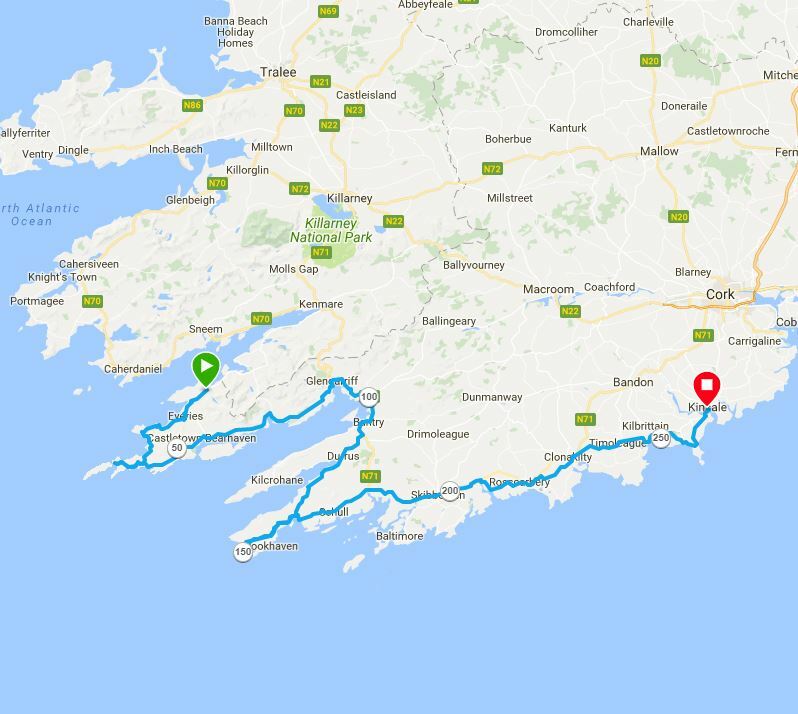 ​Cycling through the beautiful town of Kenmare, it is direction Ardgroom. 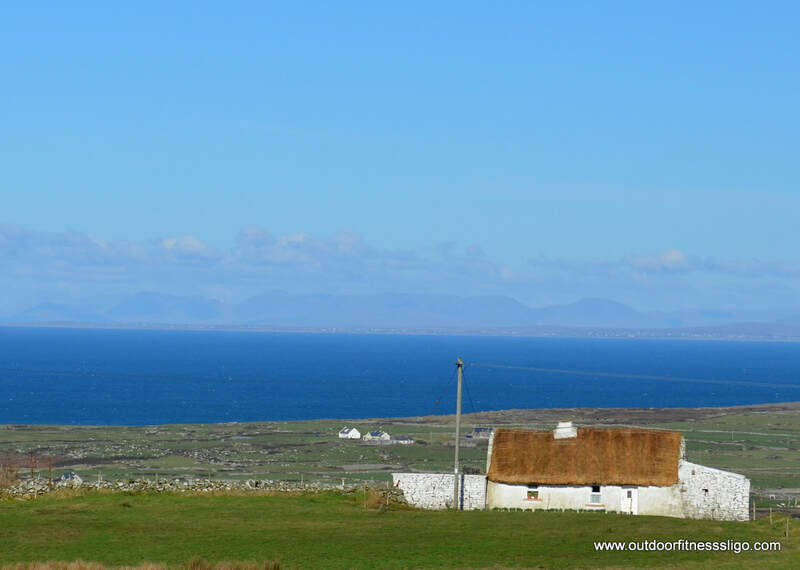 The last day will see me cycling from Ardgroom direction Ireland's only cable car connecting the mainland with Dursey Island. 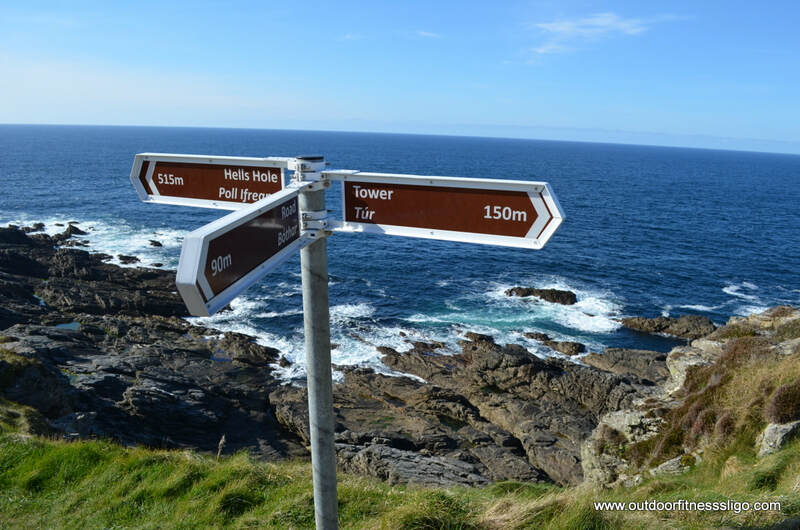 From bantry, it is towards Mizen Head, Ireland's most southerly point.